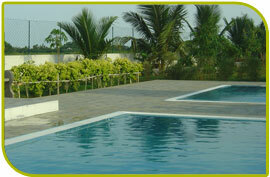 Summing Pool - The water in the Swimming Pool is like mountain spring fresh water. Water is fully ozonised to make it a world class pool. Jacuzzi - Come to Holidays. Use the High pressure Open Air Jacuzzi and forget your body pain and stress. It is amazing and out of world experience. Share it with us!!!!! !